post (adjustable angle) instead of on the tripod. carrying handle, with four feet for floor placement. 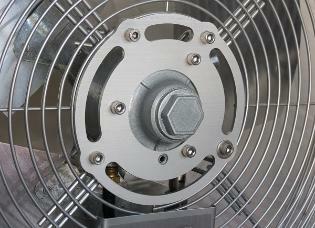 steel guard, fan screens front and rear. 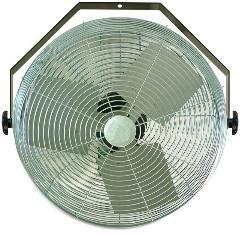 T-FF-18 Floor Stand Fan, 18 in. T-FF-24 Floor Stand Fan, 24 in. dimension of 27" and a depth of 12". outside dimensions of 22 1/8" square. tiltable but does not have height adjustment. 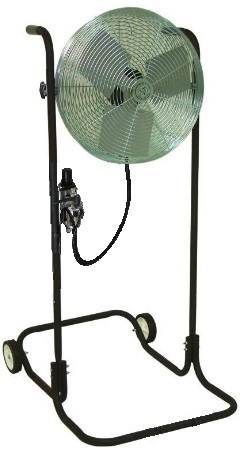 Sorry, all Tonson fans (listed below) are no longer available in the United States. shop air and they run both cool and spark-free. feeding the air motor. 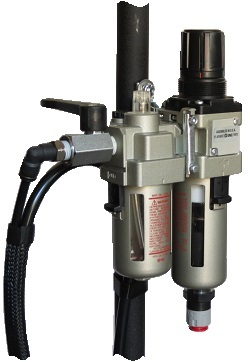 Air supply should be filtered to 5 microns, regulated to 100 PSI maximum and must include a mist oiler (lubricator). detergent motor oil (non-synthetic only). White Rex 425 oil is recommended for food grade applications. 1/4 NPT Stacked FRL unit (all-in-one filter, regulator, luber combination) with mounting bracket. 53 CFM @100 PSI. 5 micron filtration. 7-120 PSI regulation range. Float-style auto draining filter bowl. Uses 10W air line lube with fully adjustable lube rate. 1 3/4 oz oil capacity. Double layer Polycarbonate bowls. 9,5" Ht. x 4.5" Wd. 145 PSI Max. 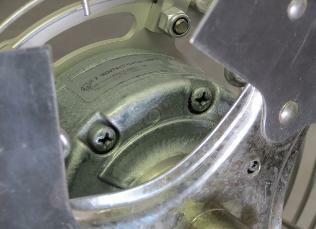 inlet pressure, 140�F max. operating temperature (no freezing). This FRL is suitable for use with all fans on this page. Sorry, all Tonson fans are no longer available in the United States. 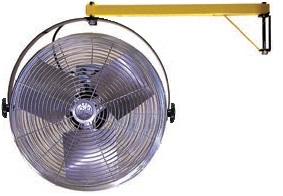 Looking for TONSON fan availability?